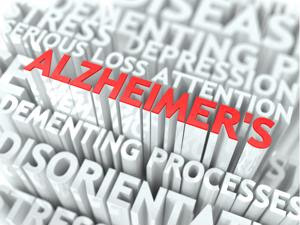 Foods that can help your brain fight against Alzheimer's disease. While it was previously thought that there wasn't much individuals could do to protect themselves against dementia and Alzheimer's disease, researchers have found that lifestyle choices can, in fact, protect your brain. Clients of senior care services can keep their brains healthy by participating in regular exercise, engaging in mental stimulation, getting a good night's rest, managing their stress and having an active social life. Suggest these options to clients who ask how to improve their cognitive function. Beans: Beans are good for more than just your heart, they're an excellent source of B-complex vitamins, which can help protect your client's brain against shrinkage. Beans help maintain a healthy nervous system. The folic acid found in beans is also good for brain health. Vitamin C: Most people take extra vitamin C when they're sick, but did you know that some studies suggest it can help protect against brain plaque that's caused by dementia? Clients can boost their vitamin C intake with sweet peppers, strawberries, oranges and cantaloupes. Fish: There's plenty of omega-3 fatty acids in fish, which can help keep your client's brain healthy. The best source of omega-3s is found in fatty, cold-water fish including salmon, mackerel and cod. Almonds: Some studies have shown that individuals with high blood levels can reduce their risk of Alzheimer's disease. You can up your vitamin E intake by munching on almonds, which may even slow the progression of the disease.